Old man winter can be a troublesome fellow, bringing along with him ice, snow, and freezing temperatures. But those things don't have to derail your training plans. 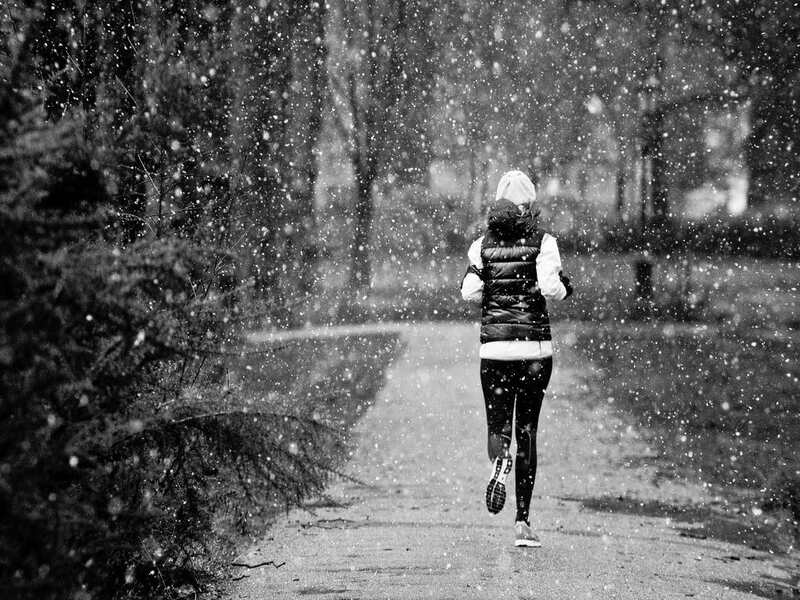 Running in cold weather can be enjoyable if you know how to prepare. ​USA triathlon level 1 certified coach, Stephanie Coburn, gives some pointers on how to keep warm during your winter jogs. If you have ever done anything in the cold before, you know that it only takes one part of your body being cold to make for a miserable experience. 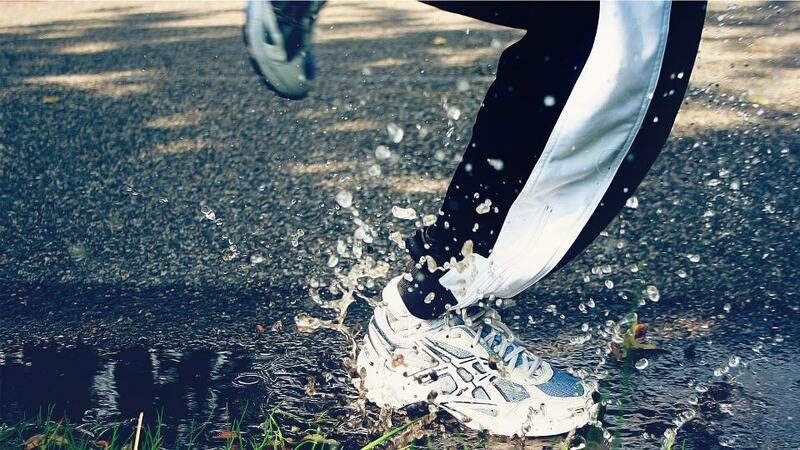 ​As you run, your body temperature will naturally rise. But that means that the beginning of you run could be a bit chilly. To avoid this, try doing your warm up inside before going out into the cold. Stephanie recommends that you choose your wardrobe wisely to make your cold weather runs more enjoyable. Before you head out the door, take some time to consider how you will keep each part of your body warm. Having cold feet is one of the most miserable feelings in the world. That numb prickly feeling can make an otherwise enjoyable run quite depressing. ​There is one irrevocable rule that you should always remember. Wet Feet = Cold feet. If your feet get wet, they will get cold. Your best defense against cold feet will be to keep them dry. To accomplish this, you will want to choose your winter running shoes carefully. Avoid shoes with lots of mesh. Breathable shoes will let in cold air and moisture which will make for icy feet in no time. Running and jogging expert Christine Luff from About.com recommends looking into a good trail shoe as opposed to a running shoe. Trail shoes tend to be more water proof and less breathable. Socks are another thing to consider. I recommend investing in a good pair of wool socks. Wool has been around for centuries and is an extremely versatile fabric. Wool will wick water away from your feet to keep you nice and dry. Unlike ​cotton, wool doesn't absorb water and it is an excellent insulator so your tootsies will stay toasty for your whole run. I wear People Socks made from Merino wool. I wear them for everything from work, to running, to hiking, and more. Legs aren't as difficult to keep warm as other parts of the body. By virtue of their shear muscle mass and the large arteries that run through them, they simply don't get as cold. Now that doesn't mean that you should go parading around in your skivvies. You will still want to take steps to keep your legs warm. If it is really nippy out or you are exposed to lots of wind, consider investing in a wind breaking layer. Wind uses the heat transfer principle of convection to pull heat away from your body at an accelerated rate. A wind resistant layer will help curb that effect. Your torso houses your vital organs. As such, your body goes to great length to ensure that it stays at optimum temperature. You will be doing yourself a favor by layering up here. Stephanie discusses three layers you should consider. Your first layer should be a base layer. As with your pants, choose a water wicking material that will help keep your body dry. The top layer should consist of a wind/water resistant shell. This is pretty self explanatory, but if you allow snow or rain to soak your clothing, you will be cold. A water proof shell will eliminate that issue entirely. A pair of gloves or mittens are an invaluable part of any winter athletes wardrobe. The thickness of said gloves will depend on the temperature. I'd recommend something thin and wind resistant. Your hands are surprisingly good at keeping themselves warm if they stay out of the wind. ​If you still have cold hands, try out a pair of mittens. Unlike gloves, mittens keep your fingers together in a single compartment which will keep them warmer. You can also try a thin glove with a windproof mitten shell. My personal preference is the Sugoi Wind Mitt. Its wind and rain resistant shell keeps my hands warm in subfreezing temperatures without overheating. Should I Cover My Head​? We lose the vast majority of our body heat through our heads. As such, it plays a major role in regulating our body temperature. It will be up to you to decide how much head ware you'll need to be comfortable. 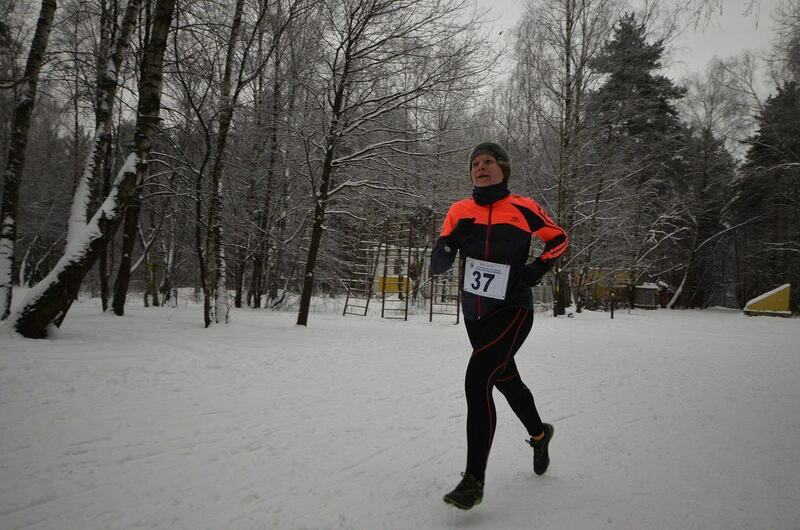 Personally, when I am running in cold weather, I prefer a simple head band to cover my ears. Since the ears receive minimal ​circulation, they are prone to frostbite. It is a good idea to keep them covered. Some people like to wear skull caps or beanies. Others opt for the bank robber look and wear ski masks (which can be a good idea if you see a lot of wind). ​It really just depends on how cold it is. You may also want to consider covering your neck with a scarf or neck gaiter to to keep cold air from going down your top. My body tends to run warm, so I opt towards thinner layers. Other may need a couple more layers to achieve the same level of comfort. The only thing to bear in mind is that more is not always better. Too much clothing will cause you to sweat, soak your clothes, and you will end up cold and miserable. Find an equilibrium that works for you​.